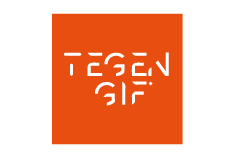 Tegengif is a Dutch foundation which informs the public about our exposure to harmful chemicals, the health effects thereof, and alternative products. The foundation believes that increased awareness will result in a demand for safe products, and that businesses will follow that demand. For this purpose, Tegengif performs research in collaboration with VU Amsterdam on chemicals that we are exposed to on a daily basis. Despite the alarm raised by scientists, the public appears mostly unaware of the adverse health effects associated with plastic use. As a partner in the Plastic Health Coalition, Tegengif hopes to reach a larger audience and achieve their mission to “erase all toxins”.